"County of Sussex" redirects here. For other uses, see Sussex County. Sussex (/ˈsʌsᵻks/; abbreviated Sx), from the Old English Sūþsēaxe (South Saxons), is a historic county in South East England corresponding roughly in area to the ancient Kingdom of Sussex. It is bounded to the west by Hampshire, north by Surrey, north-east by Kent, south by the English Channel, and divided for local government into West Sussex and East Sussex and the city of Brighton and Hove. Brighton and Hove was created as a unitary authority in 1997, and granted City status in 2000. Until then, Chichester was Sussex's only city. Three United States counties (in Delaware, New Jersey, and Virginia), and a former county/land division of Western Australia, are named after Sussex. 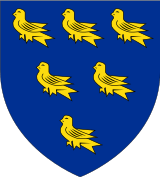 The flag of Sussex consists of six gold martlets, or heraldic swallows, on a blue background, blazoned as Azure, six martlets or. Officially recognised by the Flag Institute on 20 May 2011, its design is based on the heraldic shield of Sussex. The first known recording of this emblem being used to represent the county was in 1611 when cartographer John Speed deployed it to represent the Kingdom of the South Saxons. 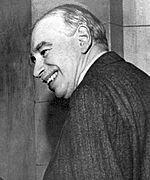 However it seems that Speed was repeating an earlier association between the emblem and the county, rather than being the inventor of the association. It is now firmly regarded that the county emblem originated and derived from the coat of arms of the 14th century Knight of the Shire, Sir John de Radynden. Sussex’s six martlets are today held to symbolise the traditional six sub-divisions of the county known as rapes. The combined population of Sussex is about 1.6 million. In 2011, Sussex had a population density of 425 per km2, higher than the average for England of 407 per km2. The area of the ancient county is 933,887 acres (377,931 ha) with a population in 1891 of 550,446 and in 1901 of 605,202. 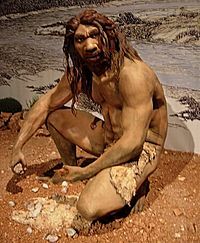 Finds at Eartham Pit in Boxgrove show that the area has some of the earliest hominid remains in Europe, dating back some 500,000 years and known as Boxgrove Man or Homo heidelbergensis. At a site near Pulborough called The Beedings, tools have been found that date from around 35,000 years ago and that are thought to be from either the last Neanderthals in northern Europe or pioneer populations of modern humans. The thriving population lived by hunting game such as horses, bison, mammoth and woolly rhinos. Around 6000BC the ice sheet over the North Sea melted, sea levels rose and the meltwaters burst south and westwards, creating the English Channel and cutting the people of Sussex off from their Mesolithic kinsmen to the south. Later in the Neolithic period, the area of the South Downs above Worthing was one of Britain's largest and most important flint-mining centres. The flints were used to help fell trees for agriculture. The oldest of these mines, at Church Hill in Findon, has been carbon-dated to 4500BC to 3750BC, making it one of the earliest known mines in Britain. Flint tools from Cissbury have been found as far away as the eastern Mediterranean. 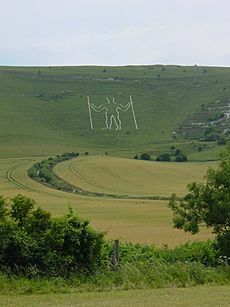 In 1264, the Sussex Downs were the location of the Battle of Lewes, in which Simon de Montfort and his fellow barons captured Prince Edward (later Edward I), the son and heir of Henry III. The subsequent treaty, known as the Mise of Lewes, led to Montfort summoning the first parliament in English history without any prior royal authorisation. A provisional administration was set up, consisting of Montfort, the Bishop of Chichester and the Earl of Gloucester. These three were to elect a council of nine, to govern until a permanent settlement could be reached. 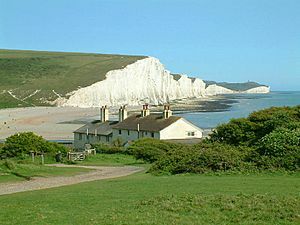 Sussex has a centuries-old reputation for being separate and culturally distinct from the rest of England. 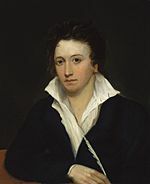 The people of Sussex have a reputation for independence of thought and have an aversion to being pushed around, as expressed through the Sussex motto, We wunt be druv. Sussex is known for its strong tradition of bonfire celebrations and its proud musical heritage. The county is home to England's largest arts festival, the Brighton Festival and Brighton Pride, one of the UK's largest and oldest gay pride parades. Chichester is home to the Chichester Festival Theatre and Pallant House Gallery. In popular music, Sussex has produced artists including Leo Sayer, The Cure, The Levellers, Brett Anderson, Keane, The Kooks, The Feeling, Rizzle Kicks, Conor Maynard, Tom Odell, Royal Blood and Rag'n'Bone Man. In the 1970s, Sussex was home to Phun City, the UK's first large-scale free music festival and hosted the 1974 Eurovision Song Contest which propelled ABBA to worldwide fame. Major festivals include The Great Escape Festival and Glyndebourne Festival Opera. The historic county is known for its "seven good things of Sussex". These seven things are Pulborough eel, Selsey cockle, Chichester lobster, Rye herring, Arundel mullet, Amberley trout and Bourne wheatear. 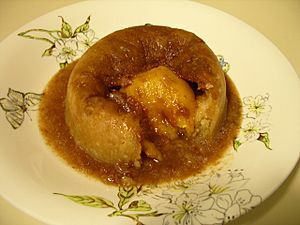 Sussex is also known for Ashdown Partridge Pudding, Chiddingly Hot pot, Sussex Bacon Pudding, Sussex Hogs' Pudding, Huffed Chicken, Sussex Churdles, Sussex Shepherds Pie, Sussex Pond Pudding, Sussex Blanket Pudding, Sussex Well Pudding, and Chichester Pudding. Sussex is also known for its cakes and biscuits known as Sussex Plum Heavies and Sussex Lardy Johns, while banoffee pie was first created in 1972 in Jevington. Sussex Facts for Kids. Kiddle Encyclopedia.